Easter is upon us once again! With spring right around the corner, this is the perfect time to get off the couch and enjoy some all-ages fun in the great outdoors. And what better way to get some fresh air than with that time-tested classic, the Easter egg hunt? Here at Private Island, we've got everything you need to throw a top-notch Easter egg hunt, and we've even devised six easy-to-follow steps that are sure to lead you to party success. 1. Pick a spot for the hunt. When deciding on a location for your Easter egg hunt, there are a few things you'll want to keep in mind. The first is safety: since there will likely be young children participating, you'll want to make sure that you pick an area that's free of hazards and provides enough visibility that the supervising adults can keep an easy eye on the participants. 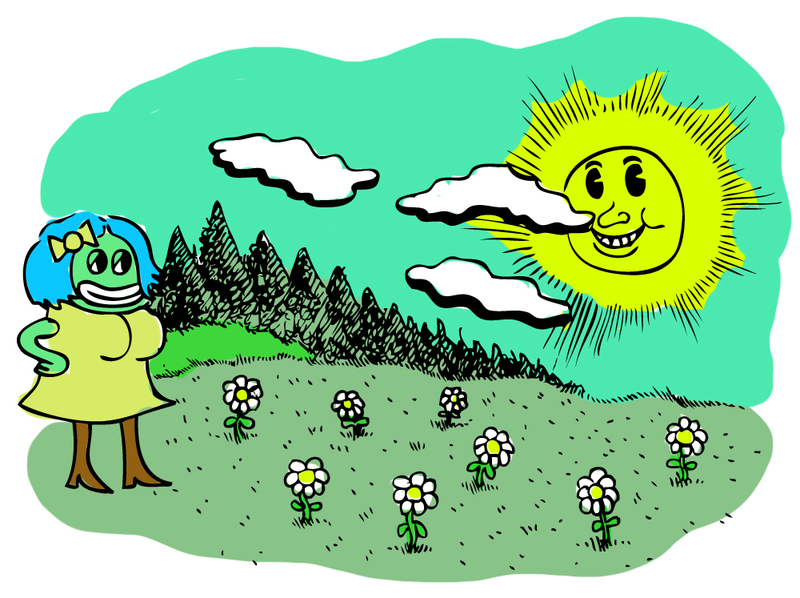 If possible, you'll also want to pick a location with a good variety of interesting hiding spots. Behind bushes or in long patches of grass are ideal for younger children, while the older contingent might find it a more engaging challenge to hunt in the lower branches of trees. 2. Decide on the rules. 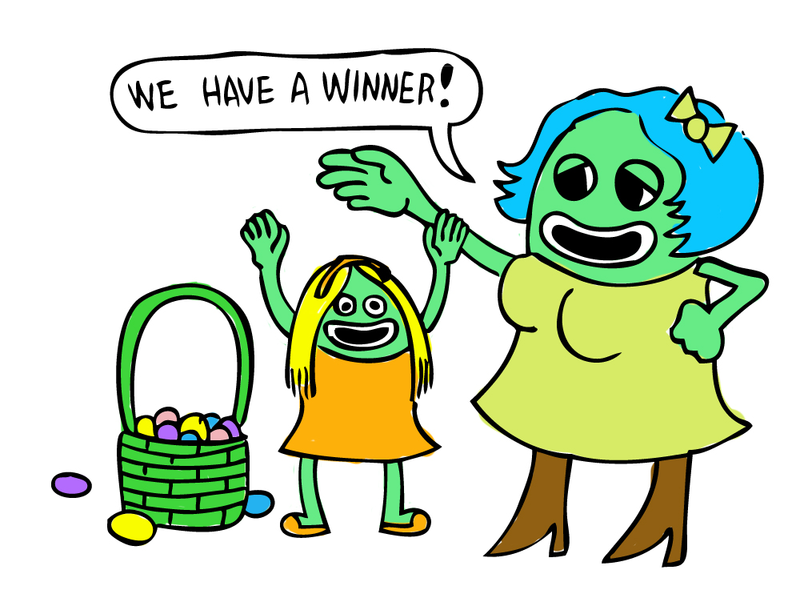 This is for the youngest of the young; all of the eggs have candy or little prizes in them, and the scavengers simply keep whatever they find without scores being tallied. A set number of eggs are hidden in a given area; when all the eggs are found, the child who has found the most eggs gets a special prize. 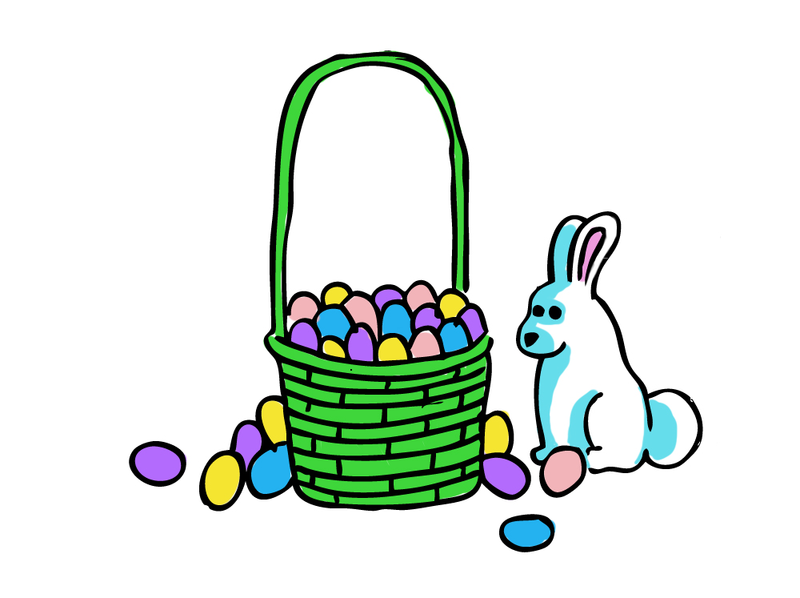 While most of the eggs contain a piece of candy or other small prize, a few special eggs contain a note that is redeemable for a larger prize. If you have a lot of kids, divide them into six teams, and have each team search only for their own color eggs. The first team to find and return all of their eggs wins a special prize. 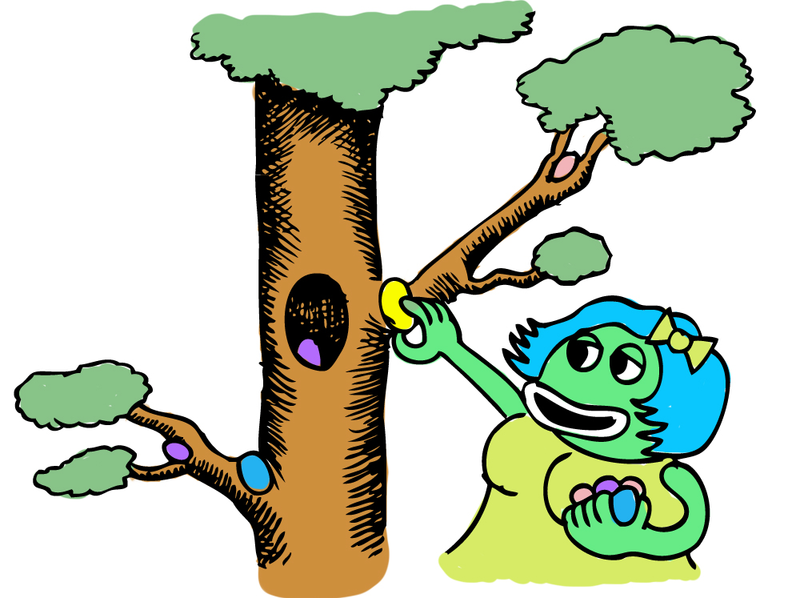 (Note: if attempting this type of Easter egg hunt, make sure to be as equal as possible in hiding each team's eggs, so that nobody feels cheated). Depending on which set of rules you've decided to follow, you can hide candy, toys and treats in all the eggs or just select ones. 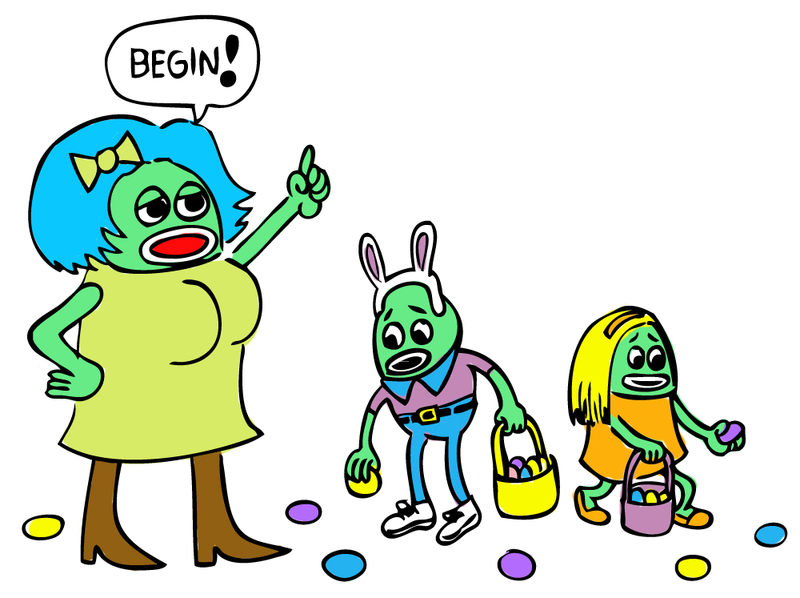 Make sure you make a count of how many eggs are in the hunt and also how many have candy in them, since nobody likes finding a months-old Easter egg with spoiled old candy inside! When you're buying the Easter eggs, here's another thing to consider: neon eggs will be bright and easy to find, and will present less of a challenge than pastel eggs. Keep that in mind when you're deciding how challenging to make the hunt! Again, this step depends on the age range of the hunters, for young children, you won’t want to hide them too well or in hard to reach areas, if you have a mixed age range, you’ll still want to have your eggs easily found but older players will appreciate a few challenging hiding places. Remember, safety first! 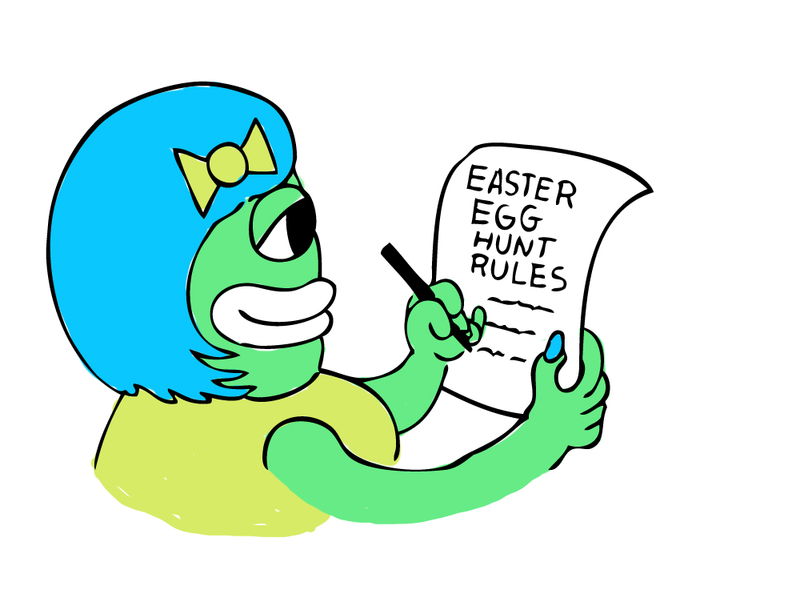 Make sure to keep a sharp eye out for kids wandering out-of-bounds, and keep a tally of the total number of eggs to avoid having hunters search in vain for eggs which have all been found. Also make sure you keep an eye out for bullies swiping eggs from younger players, or kids arguing over who found an egg first. One fun way to cut down on these mishaps is to designate several of the adults as Official Easter Bunnies by wearing a set of ears and a rabbit nose and patrolling the game area to serve as referees and settle disputes. They can even carry around a basket of candy to help placate any hurt feelings!